BRYAN EATON/Staff Photo. 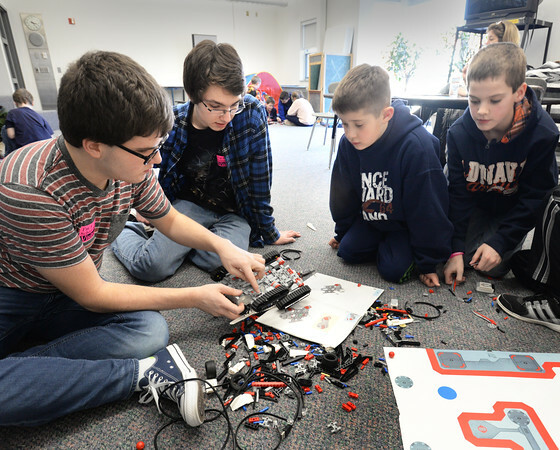 Two Triton High seniors are using the skills they learned in a robotics class to teach youngsters at the afterschool Explorations Program at Salisbury Elementary School. The two, George Phaneuf, left, and Jake Phillips work with Aengus Longtin, 8, and Cameron Neary, 10, right.